A montage of many tropical designs for a fabulous patio. The Andros collection by Art Carpet ensures you get the most of the coast, no matter where you're located with these gorgeously styled patterns. Please spot clean only and have professionally cleaned when required. Dimensions 47.0 In. X 31.0 In. X 0.5 In. 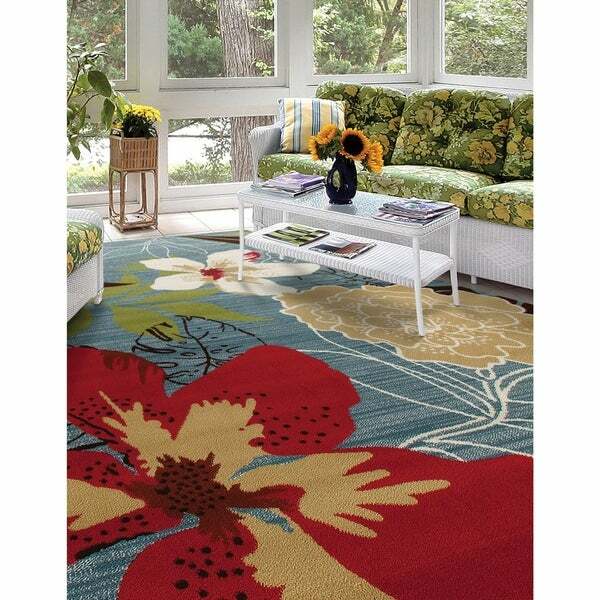 Safavieh Handmade Soho Brown/Multi New Zealand Wool Floral Rug - 7'6" x 9'6"